Organizing Against Violence – who speaks and acts? The “Organizing Against Violence: Community-engaged Pedagogy and Praxis Workshop” was co-led with Dr. Mallika Bose (Associate Professor and Graduate Program Coordinator in the Department of Landscape Architecture at Stuckeman School, Penn State University) at the 2018 Imagining America conference in Chicago, IL. 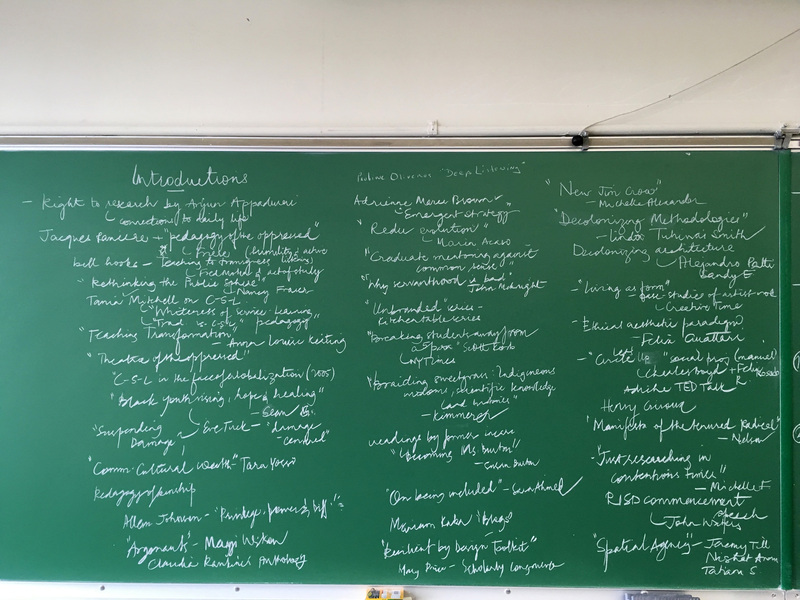 Our workshop aimed to understand the relations between violence and pedagogy, and between structural inequalities and spatial politics through cultural organizing principles and critical community-engaged pedagogies. We placed our proposed session in direct conversation with the 2018 IA conference theme on decarceration and liberatory futures by grounding the notion of futures not in speculative imaginations of a distant time, but rather in the lived histories of the oppressed and most precarious communities in the present. 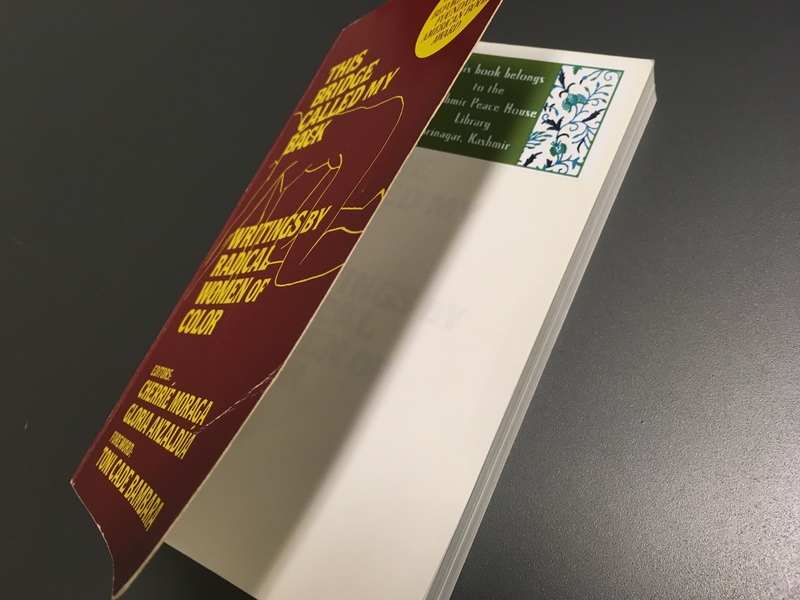 Decarceration, in this light, is both an ongoing commitment to dismantle oppressive structures within and beyond the academy, and a process to reconfigure the implicated social and spatial relations with radical community-engaged pedagogies. Equally, decarceration for us is a personal project; a project to ask difficult questions of oneself and the colonial histories of the institutions we inhabit. 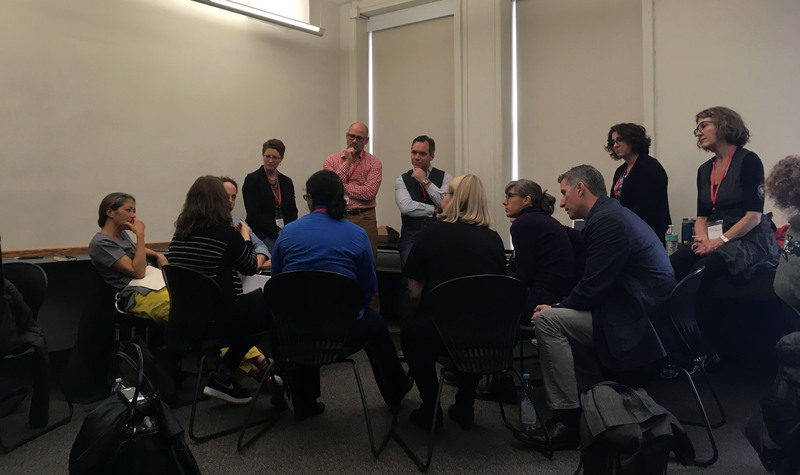 The workshop focus on pedagogy brought together participants working actively at the intersection of engaged arts, humanities, and design, as well those keen to explore the personal and structural narratives underpinning these connections. We utilized this workshop as a starting point of a yearlong collaborative writing project that will culminate in a publication or toolkit to be potentially distributed through Imagining America and other media. Where possible, the participation of community partners in this session was strongly encouraged. Ongoing community participation could also take the form of recorded testimonials. Voice matters. __Create a working group to discuss resistances and approaches that challenge inequalities built into normative service-learning methods. Based on the discussions develop pedagogies to sustain our work, and help others engage in critical community engaged practice. __Highlight lived experiences in diverse learning venues, including, but not limited to, non-traditional archives, libraries, community centers, correctional facilities, media stations, and cultural theatres, among others. __Lay bare our individual power and privilege to describe discomfort and failure, but also joy and solidarity in community-engaged pedagogies. __Build community around an ethic of care to counter the exclusionary and alienating workings of the neoliberal academy. __Create a network of like-minded people to engage in a collaborative writing project.